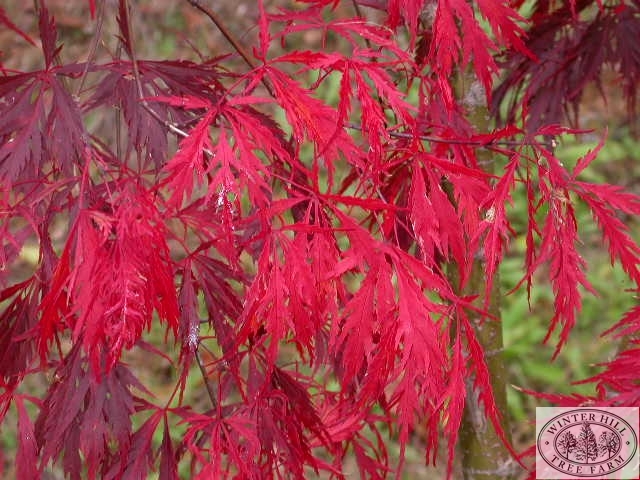 For a snapshot comparison of all Acer varieties available at Winter Hill click here. Deciduous maple, usually grafted onto a 1 - 2 metre standard. Leaves deeply divided, dark wine red, holding their colour well throughout the season, colouring in autumn to orange/red. 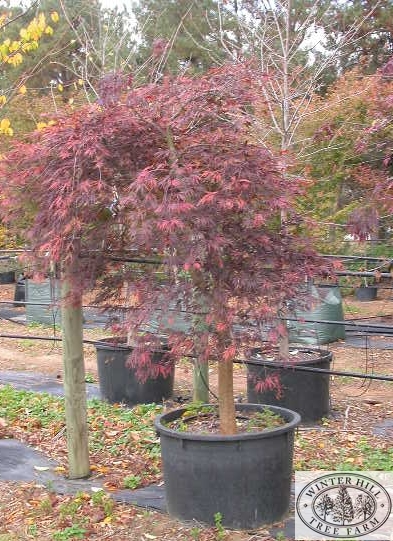 Regarded as the best performing red weeping maple. Prefers rich, moist, well-drained soil in full/filtered sun. Protect from hot winds.